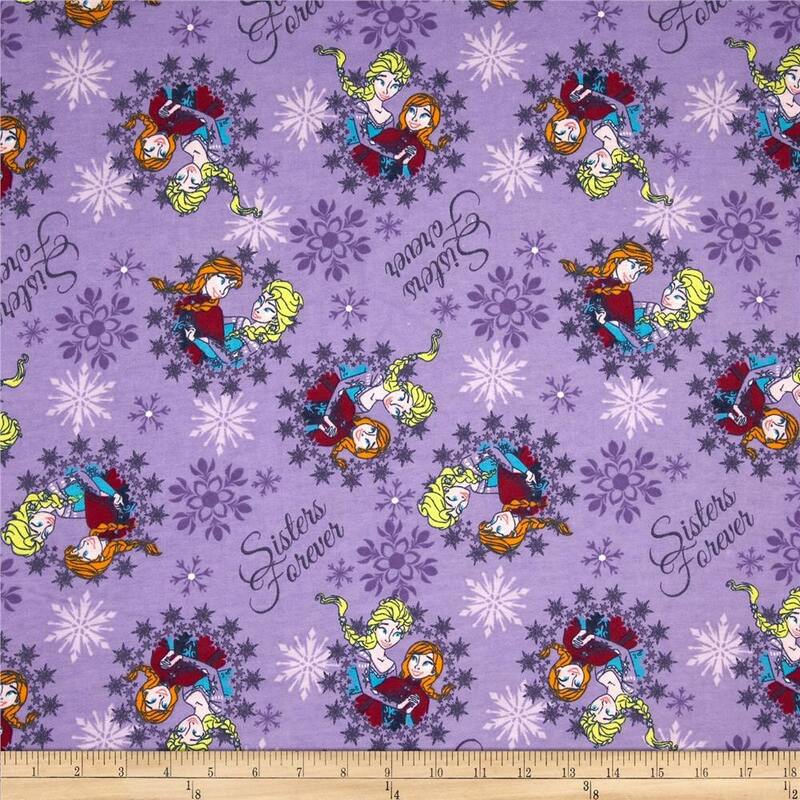 Children's Fabric from Disney Frozen Sisters Ice Skating and Snowflakes Purple Cotton Flannel. A warm and whimsical addition to the Frozen Fabric childrens fabric line from Springs Creative. This double-napped (brushed on both sides) flannel is perfect for quilting, apparel and home decor accents. Colors include lavender, lilac, yellow, pink, orange, burgundy, and white. All fabric from The Quilted Nursery Children's Fabric Store is cut directly from the bolt and sold by the yard. Special yardage by request. Same day shipping always!